Not that many like to discuss this; however, it happens and it happens a bit too often in my opinion. I’m talking about bread. Have you noticed your bread go bad before reaching the end of the bag? I have! In fact, 99% of the time it goes bad before the “best before date” tag attached to the bread bag. It’s very disappointing and I (quite frankly) am tired of it. I have lost count of how many bags of bread I have thrown out! Our family gets halfway through the bag and then I notice that something weird is starting to grow on it … that something is mould. Ew. I could take the bag of bread back to the grocery store for a refund; after all, if the bread goes bad before the expiration date shouldn’t I be able to get a refund? or even a replacement? The drawback is the loss of time. Going to the grocery store repeatedly is not my idea of fun! Did you know that you can save some bread with your bread? By bread I mean money! 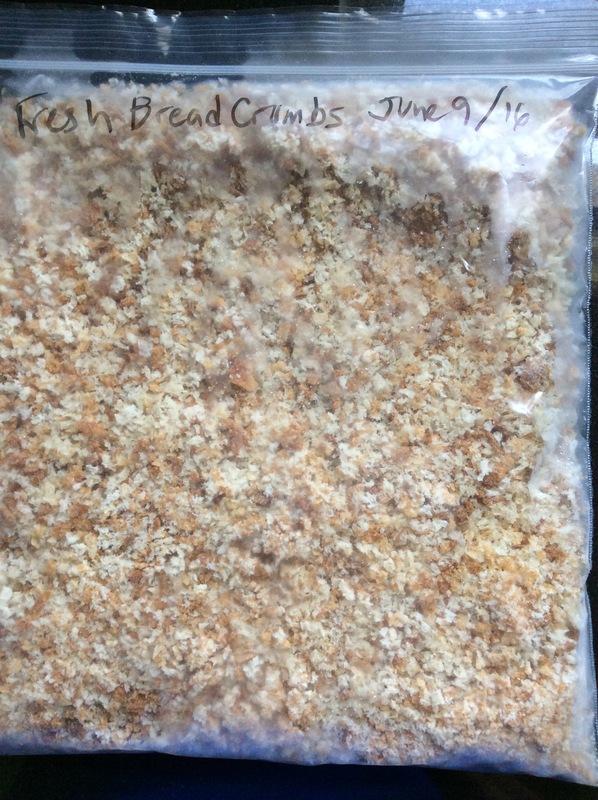 You can make your own bread crumbs … and even freeze them! Yup! They’ll keep 6-8 months in the freezer. The trick is: make the bread crumbs and freeze them BEFORE your bread starts to go bad. It’s simple. Another great idea is to make stuffing, as stuffing freezes good too and you can always use stuffing in recipes!! Invest in a bread box. I know it sounds stupid, maybe even cliché, but those things work and the bread stays fresher for longer. I haven’t thrown out bread in months. I like this idea and now I can use the bread crumbs in my meatloaf.Thanks for the great tip.